UNT's Peace Corps Prep Certificate is an 18-hour certificate that includes: 1. Training and Experience in a specific Peace Corps work sector; 2. Intercultural Competence; and 3. Professional Leadership and Development. UNT undergraduate students from any major are eligible to pursue UNT's Peace Corps Prep Certificate. It is highly encouraged that students start early in their academic careers. To add the UNT Peace Corps Prep Certificate, please schedule an appointment with the Peace Corps Prep Coordinator at appointments.unt.edu or by calling (940) 565-2051. Students must complete 9 advanced hours in a specific Peace Corps work sector related to the student's major. The course requirements may also be completed through study abroad. Students must complete at least 50 hours over a minimum of 3 months of volunteer, service learning, and/or internship experience in the same work sector. Students must complete 9 hours of intercultural competence coursework selected from a list of pre-approved courses--many of which are related to the student's major. The course requirements may also be completed through study abroad. Students must have their resume reviewed by someone in the UNT Career Center. 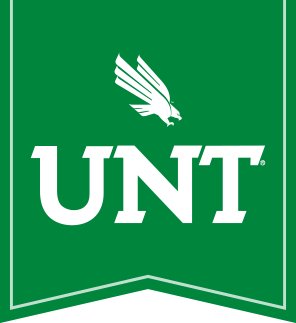 Students must attend a workshop or class on interview skills offered through the UNT Career Center. Students must demonstrate at least one significant leadership experience and be well-prepared to discuss it thoughtfully. Please visit the Course Requirements page to learn more about the courses that count toward UNT's Peace Corps Prep Certificate. Spanish for Latin America: Students interested in serving in Spanish-speaking countries must apply with strong intermediate proficiency, which is usually demonstrated by completing at least four semesters of Spanish (or the completion of at least two 2000-level Spanish courses). French for West Africa: Students interested in serving in French-speaking African countries should be proficient in French (or, in some cases, any Romance Language), which is usually demonstrated through the completion of three to four semesters of French--or another Romance Language as applicable--(or the completion of at least one 2000-level French or Romance Language course). Native Speakers: If you are a strong native speaker of Spanish or French and want to serve in a country that speaks your native language, you are exempt from the language requirement.